It is amazing how quickly enemies can become friends. A couple of years ago, the finance industry was enamored by the rise of 'fintech'. Experts were writing obituaries for traditional banks as customers were seen flocking to the rising fintech stars due to convenient banking without barriers. Today, in 2017, the script has changed. The talk is now about how fintech and traditional banks complement each other. One cannot grow without the other. The industry is realizing that fintech delivers digital capabilities that unlock a bank's digital transformation and traditional banks provide the heft and depth required for successful fintech operations. "Fintechs are startup technology providers that deliver emerging digital technologies that approach financial services in innovative ways or can fundamentally change the way bank products and services are created and distributed, and generate revenue." 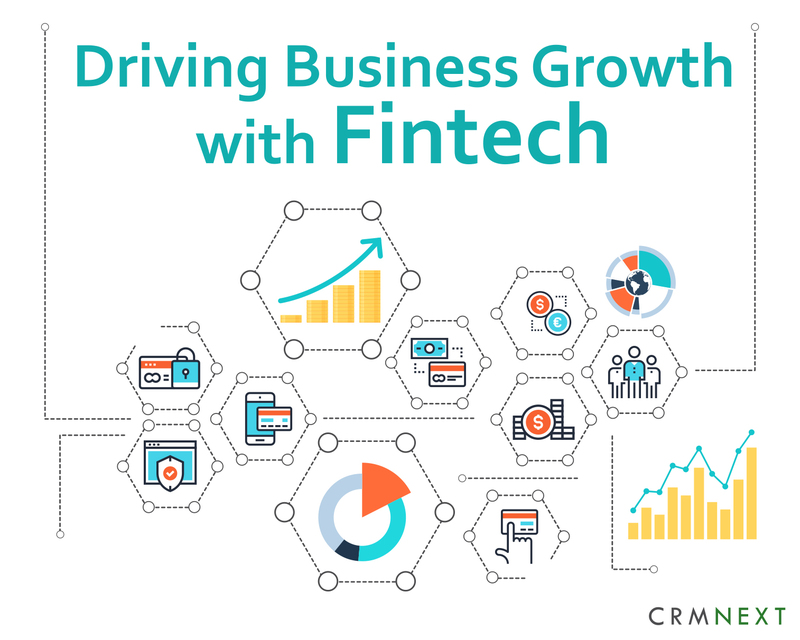 So how can banks drive business growth with fintech? Read on to find out. For far too long, banks pretended nothing much was wrong. As a result, battalions of customers are making the switch to fintech providers as they provide convenience with a tap. Traditional Banks lack the relevant technological skills needed to create in-house solutions. Moreover, the speed required to develop these skills means that the banks cannot play catch up as well. Not involving fintech increases IT costs that affect margins. 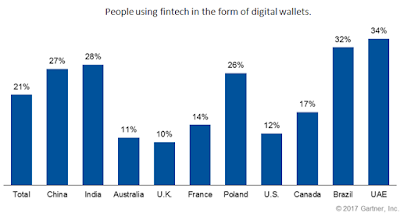 As a consequence, customers are increasingly using digital banking offered by fintech for basic products and services as shown in the graph below. This has disrupted traditional revenue channels of banks as fintech offers a better experience and more importantly, convenience. As a response, banks can go for digital solutions like banking CRM. They can identify the areas that need digital capabilities and accordingly, partner with fintech providers to bridge the gap. For example, customers can instantly open an account with seamless integration with verification agencies and bio-metrics systems like IDFC Bank. The main power of fintech solutions is its strength in improving customer interface that delivers an exceptional experience. These come together to solve a niche financial problem like instant loans. Customers often would have to turn to branches or contact center to solve these needs. By integrating fintech through CRM software, banks can negate the need of branches or contact centers to perform these tasks. Tedious document collection and verification can be automated and digitized. This contributes towards enormous costs savings. Additionally, banks can dig into APIs to tap into fintech capabilities for digital payments as part of mobile payment offerings. This can mean faster time to market for banking products and services. a. Viability: Most of the fintech startups, estimates range from approximately 58% to 90%, fail. Before finalizing any partnerships, the banks should look at the track record of fintech providers in terms of adoption rates, uptime etc. b. Technology: Banks are used to tedious and lengthy implementations and integrations. Fintech usually adopt agile development technologies. This mismatch can be bridged with the help of seamless integrators powered by CRM in banking. Making use of stable APIs can eliminate bottlenecks, enhance security and empower banks to access and deliver digital capabilities to their customers at multiple channels across devices. c. Scalability: Legacy and traditional banks are synonymous. 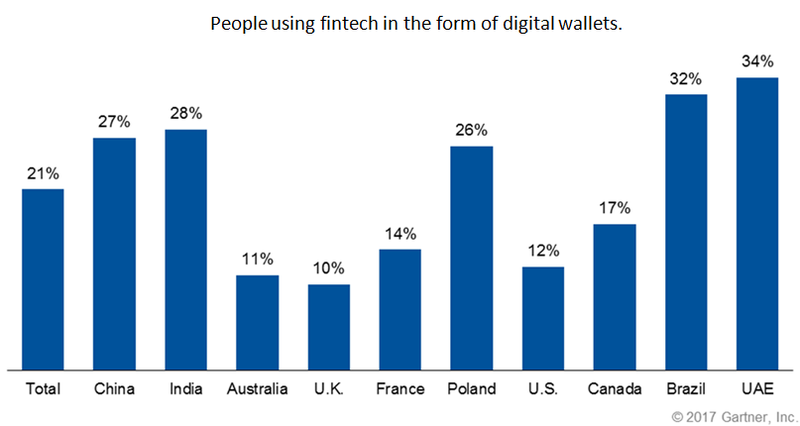 Fintech is forcing a change. with the help scalable CRM solutions, large banks can process large volumes of transactions. Fintech needs this capability and more importantly data to fully evolve their offerings. Thus, the robustness of fintech offering to maintain scalability will be a priority. Banks are getting a crash course on being lean and mean from fintech. With the right partnership and CRM platform, banks can drive growth and at the same time, take customer delights to greater heights.